The new standard requires putting many leases on the balance sheet for the first time, and she believes the accounting and finance department needs to take the lead role to drive the implementation. But the effort also should heavily involve the operations, IT, treasury, tax and facilities groups. 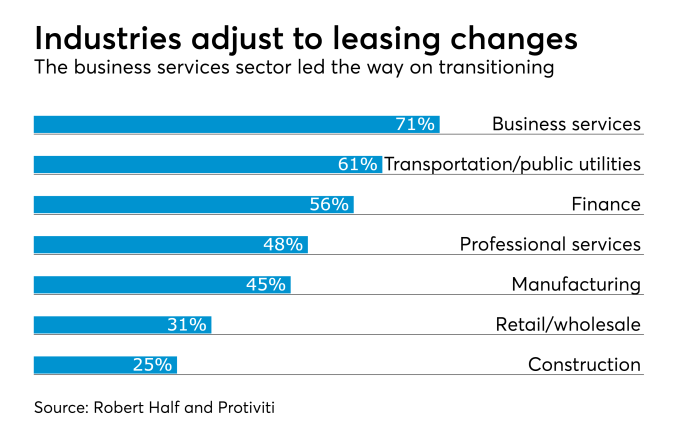 The article also provides information from a recent survey conducted by staffing company Robert Half and consulting firm Protiviti, which focused on how companies are doing with the transition to new lease accounting standards. The survey found that only 44 percent of companies have begun the transition process and that, of those that have started, only 48 percent have completed an assessment of what needs to be done. Business services companies were the most likely to have begun the transition, at 71 percent, according to the survey respondents. Only 31 percent of executives in the retail and wholesale industry and 25 percent in construction said their organizations are currently working on adopting the new standard. 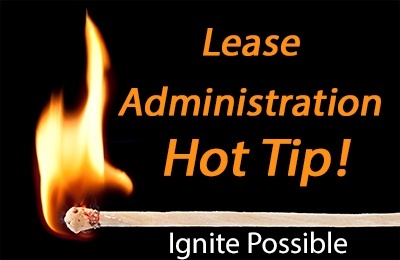 Click here to learn more about Bramasol's solutions for Lease Accounting Compliance solutions.